102517: This Friday Is “Come As You Aren’t Day” at the UFOHQ . . . Yes, that’s right it’s “CAYAD” Come As You Aren’t Day aka our Halloween Costume Party! We encourage all to let loose and allow your inner whatevers to show up this Friday. Well, maybe not too loose, but definitely do come as you normally aren’t. We’ll be gathering at our usual run time of 7pm – 10pmish, B.A.Dish (Pot Luck) to share with your Fellow Ghouls, Witches, Clowns, Pirates, you know, your regular ‘Ohana members. BYOMusicStands and as always that some of that Aloha thing . . .
Here’s a special event notice from our own Madison who will be performing at following . . . THE Annual Big Band Dance transforms the Novato High School Old Gym for a night to be remembered. It’s part Swing Dance, part Jazz Band performance part Marin School of the Arts Dance performance and completely fun for the entire family! This year features special guests from MSA Theatre and Vocal Music as the evening recreates Frank Sinatra Live at the Sands in its entirety. Please feel free to mention the above to all your friends . . .
Good luck with the Event Madison! Joe Tato mentioned that last week was a great Fundraising Friday for the Elks. About $640 for food and over $1200 for gift card donations to the Fire Survivors. Joe also mentioned that the donations are still coming in. Mahalo to the UFOhana for supporting this important event and to those that helped with the Quiche for Fire Fighters cook off the week before . . .
Click here for images of last Friday’s Kanikapila. So last Saturday was Sandy’s Big 7-Oh-Oh! and CD Release Party. What great time that was! Mahalo to Marion and Sandy for Hosting the UFOhana’s Saturday Kanikapila and for the even more Funner Birthday Bash and CD release. Click Here for the Great Photos! This Saturday we’ll be at the Sonoma Valley Woman’s Club. Usual time of 2p – 4p. BYOGear (Music Stands, we’re good for chairs) and again, that Aloha thing . . . just not a Kanikapila without it! I understand that Hula Mai may be joining us, as well as other Fire Storm Survivors. Mahalo to the Wahine O’ Mahina Awāwa (Woman of the Valley of the Moon) for Hosting us in light of this difficult time. There’s a moon in there somewhere . . .
Last Sunday we celebrated Paul’s Life at our Kanikapila Ho’ola’a. 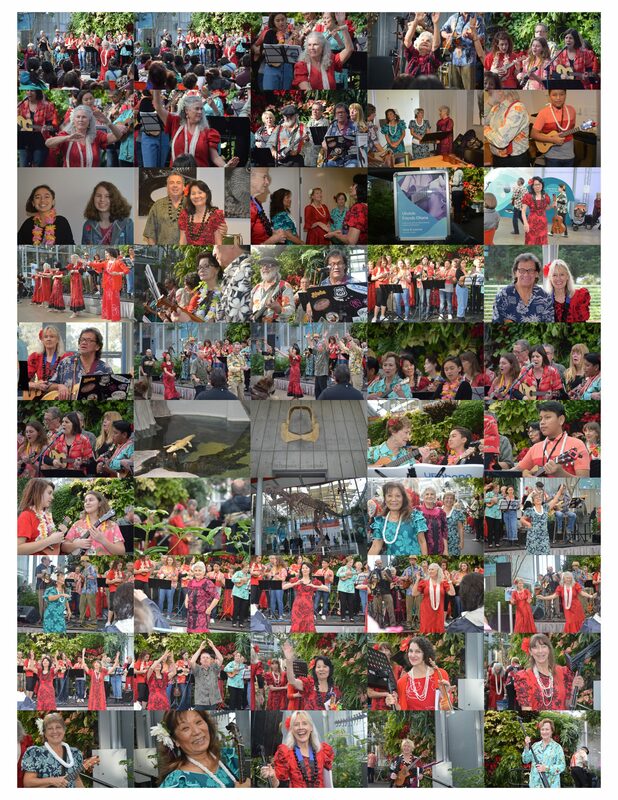 Mahalo to Pauline, Linda, Linda and others for making this such a special Kanikapila. I felt Paul was there Dancing Hula and strumming right along with us! Click Here for images. Hey, where’d this guy come from? Next PostNext 103117: We’re at the Campbell Hall This Friday!